Recto: a drawing of the head of a man turned in profile to the left, cut through to show the structure of the skull-bone and of the eye. Below is a section showing the scalp, peri-cranium etc. There is also a section of the eye, and the head seen from above. To the left is a note in red chalk with a section of an onion, comparing it with a section of the head. 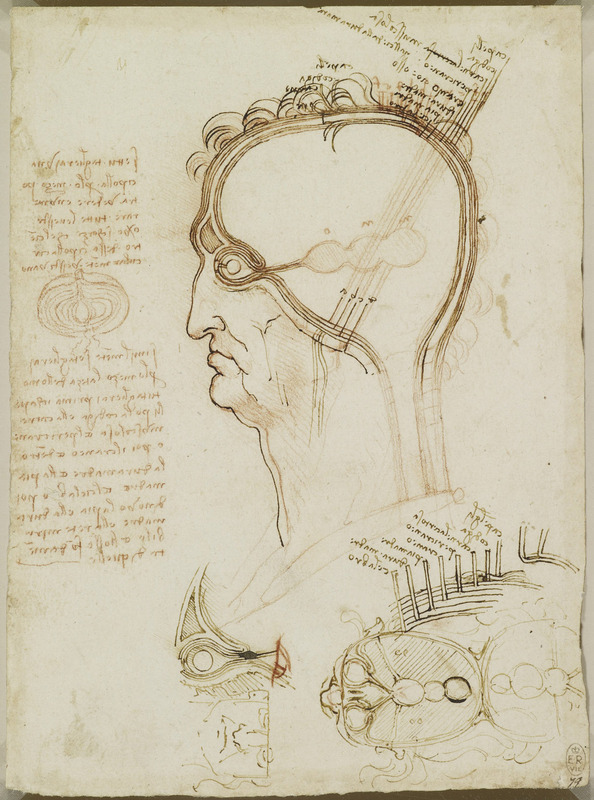 Verso: an old man's head full face and various anatomical scribbles of a head and cranium. Vertically to these is a poor profile, facing left, not by Leonardo.